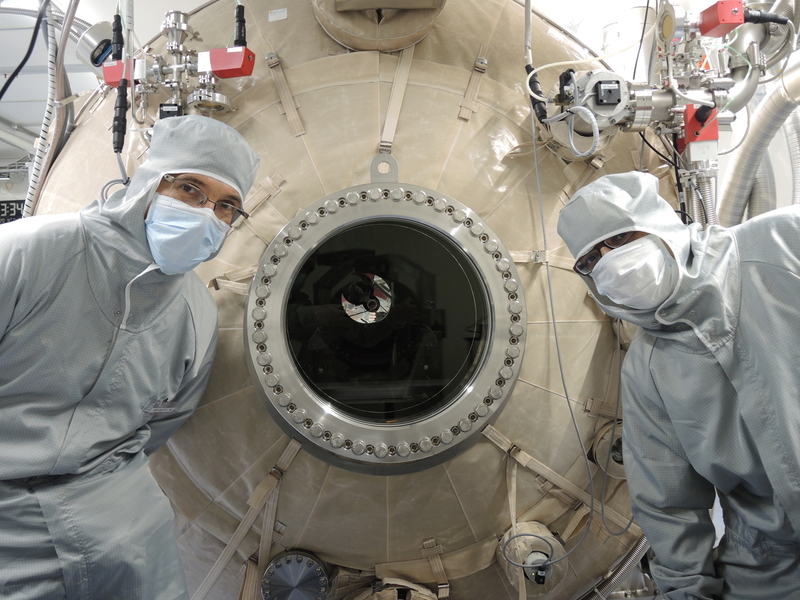 Alignment tests of the CHEOPS scientific instrument included testing under low temperature and vacuum conditions in a thermal vacuum chamber at the University of Bern. The primary mirror of the telescope can be seen through the window in the sealed chamber. By accurately measuring how the image of a star-like light source changed as the instrument was cooled, it was possible to evaluate the accuracy of the in-orbit alignment.